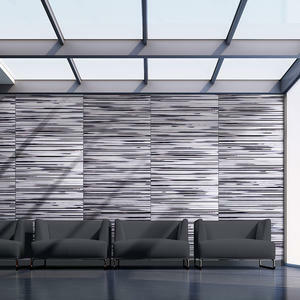 ViviSpectra Elements glass brings the outdoors in with a series of patterns sourced from wood, stone and botanicals. Now, our latest additions give you even more ways to bring nature's abstract beauty into your projects. TANDARRA exhibits the vibrant colors and gigapixel details of the Tropical Maurellii Leaf from our Zoom Digital Darkroom but transforms the image with graphic rhythms and metallic pops. UMBRA follows the skeletal structure of a leaf to reveal organic shifts in pattern density and diffusion. MAREA was inspired by the ethereal wash of light that appears at high tide in Southern California. Undulating shades of pale blue are accentuated by subtle gold tints and metallic glimmers. RAYA realigns the colors and tones of natural agate into a lustrous, architecturally structured surface. 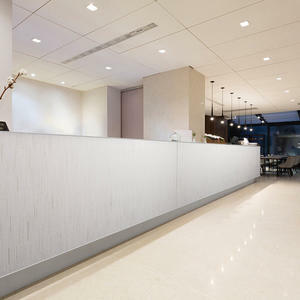 WHITE MARBLE elevates the classic bright white of natural Carrera marble with dynamic surface depth and light-catching luster. BLACK MARBLE captures the darkest end of the spectrum. The surface plays off the organic veining and speckling of real stone to bring a depth of color and sheen typically not seen in nature. All ViviSpectra Elements glass is available in two configurations, each named for the amount of light transmitted—or not—through the glass. To a large extent, configuration is determined by the end use of the glass. Reflect is a single-sided configuration in which the image interlayer is laminated between a transparent lite of glass and a reflective glass backer. Reflect is ideal for one-sided applications where the glass will be used against another surface, as on a wall or in an elevator cab. View is a single- or double-sided configuration in which the image interlayer is laminated between two transparent lites of glass. Double-sided View is ideal for use in doors, partitions, room dividers and other applications where semi-privacy is desired. Single-sided View is a beautiful choice for backlit displays and other illuminated applications. Pearlex is a lightly textured, non-reflective, non-distortive surface that creates a minimal amount of diffusion and is fingerprint resistant, highly durable and exceptionally easy to clean. 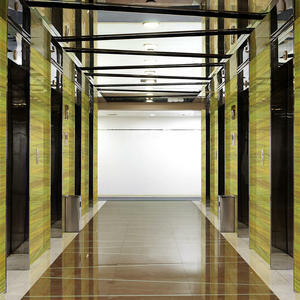 Standard is a smooth, reflective, non-distortive finish that is durable and easy to clean. 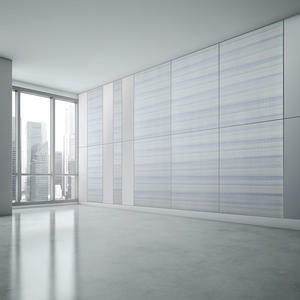 ViviSpectra Elements glass is suitable for interior and exterior use and can be incorporated into many F+S products, including LEVELe Wall Cladding, Elevator Interior, and Column Systems, LightPlane Panels, and more. It can also be specified in sizes up to 60” x 120” (1524mm x 3048mm) for use in room dividers, partitions, backlit displays and other custom fabrications. Intrigued? 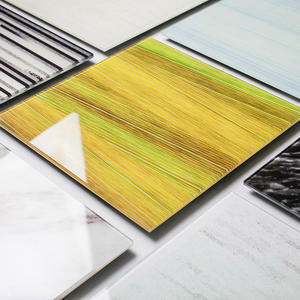 Explore the world of ViviSpectra Elements glass on our website, at www.forms-surfaces.com.